We always welcome donations of age-appropriate used clothing, however, for the needs appearing on this list, we request only NEW, store-bought items in their original packaging. Sizes: Girls and Ladies - 6 to Adult; Boys and Men - 6 to Adult. No small sizes needed. T-Shirts - Short and Long Sleeve. No Pockets or Logos or V-neck. Primarily White, but other colors are welcomed as well. Occasionally, we list items by brand name so our donors will know exactly what items we're needing, but store brands and generic items are always received here with gratitude! 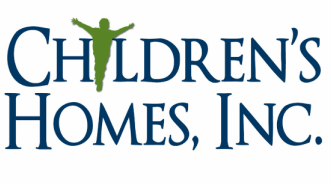 Children’s Homes, Inc. has a monthly truck route to visit congregations who collect non-perishable food items for donation. If your congregation is interested in joining our food route or would like more information, please call Keith Wellsted at 870-239-4031, ext. 142 or at keith.wellsted@childrenshomes.org. At the suggestion of some of our supporters, we maintain a wish list on Amazon, which simplifies the process of donating needed items. Interested donors may browse a list, and purchase items, which will be shipped directly to Children's Homes, Inc. To find the list on Amazon you may either search for 'Children's Homes inc. Needs' or click the button below. Note: Items on the wish list are often brand name items, because it is what is available on Amazon. We still cheerfully welcome generic items.